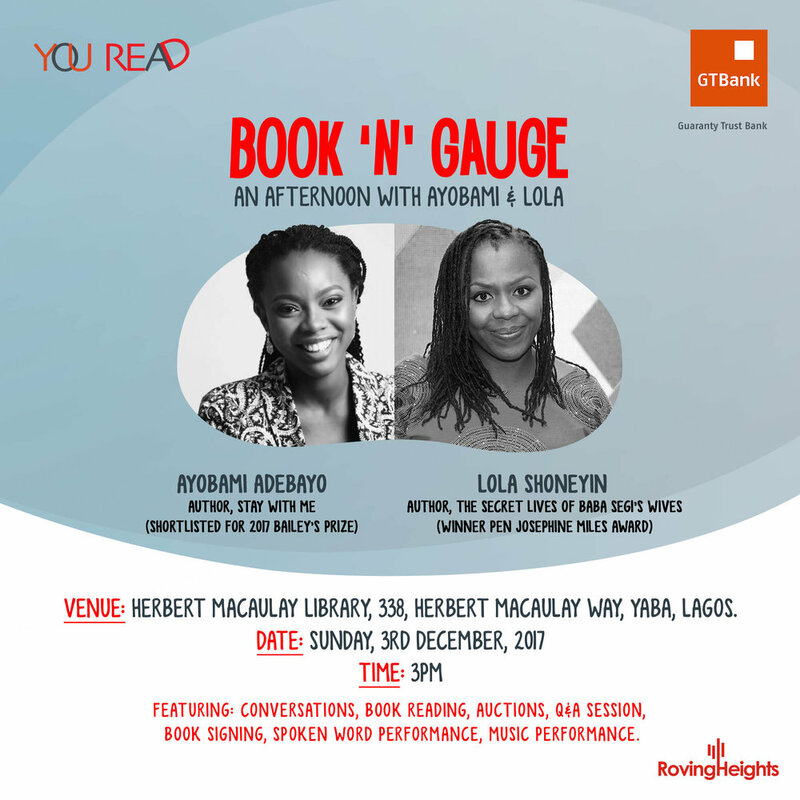 Book-N-Gauge, a monthly book reading event brought to you by Roving Heights with the support of GTBank’s You Read Initiative, is on this December 3rd, 2017. It will host two contemporary authors Ayobami Adebayo and Lola Shoneyin whose works, Stay With Me and The Secret Lives Of Baba Segi's Wives, have been published to great reviews. Book N Gauge will hold at the You Read Library, 338 Herbert Macaulay Way, Yaba Lagos at 3pm. There will be book signings, book sales and auction, spoken word, Q&A, lively discussions around books and all things literary. Previous editions of Book N Gauge have featured seasoned writers and poet includingEl-Nukoya, Tolu Akinyemi, Bobo Omotayo, Jude Dibia, Akachi Adimora-Ezeigbo, Toni Kan and Sam Omatseye.